BlackBerry has, in an explosive fashion, finally released BBM on Android and iOS. The popular chat application is now available for the two most popular smartphone platforms in the world. The Android application has exceeded 10 million downloads in just over 1 week (SOURCE). Between Android and iOS, BlackBerry claims to have added over 20 million new users to BBM since its launch (SOURCE). In its current form, BBM is simply an instant messaging application, a better way for two (or more) people to communicate. Many people have asked themselves what BlackBerry’s plans are. How do they intend to make money giving away a free application? BlackBerry’s answer to making money with BBM isn’t news, although many people may have missed the announcement, made several months ago on May 14, 2013 at their BlackBerry Live event (this was the same time they announced their intentions to make BBM a cross-platform application). These two announcements coincided for a reason, BBM Channels is BlackBerry’s strategy for generating revenue from the millions of new BBM user’s they’re acquiring on Android and iOS. 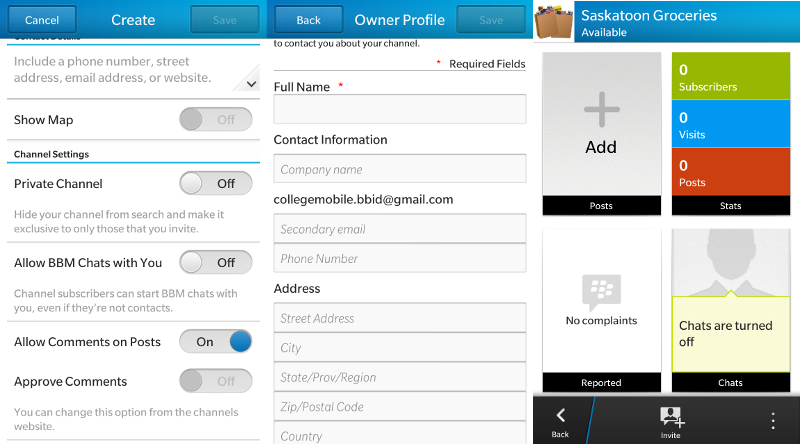 Currently, BBM Channels is only available with BBM for BlackBerry, and the feature is in beta. What are BBM Channels? At first glance you’d be reminded of both Facebook and Twitter. 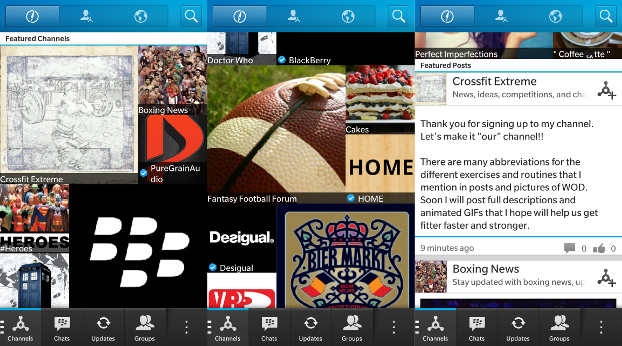 BBM Channels is an expansion of BBM that allows brands, figures, and businesses to connect with users of BBM. Having a BBM channel is similar to having a Facebook or Twitter account. You use your channel to garner followers, which you can then post to and interact with. The ways you can interact with your followers is what sets BBM Channels apart from Facebook and Twitter. The primary method will be through a “Post”. You can create a post, with or without an image title, including a description (of up to 400 characters). Posts can be compared to a short blog post, Facebook post, or tweet. One unique feature of BBM channels is that you can optionally turn on one-on-one chat with your channel followers. You can interact directly with your followers or customers. As a brand, if you see BBM catching on with people in your target demographic, what should you do? It might be time to familiarize yourself with the technology. You should check out the BBM Channels beta, on BlackBerry 10, and get a feel for where the technology is headed and what opportunities it might present you to interact with your consumers. BlackBerry’s game-plan is almost definitely to charge for “featured” or “sponsored” channels or channel posts to get high visibility to end users. However, it is free for any person or company to set up a channel, and to start reaching people today. Getting a head start with the new technology could prove valuable for any company, moving forward. BBM Channel’s may soon become an integral part of a company’s mobile strategy, just like Facebook and Twitter before it. The technology space moves lightning fast, and there’s no time for companies to make strategic errors with the pieces of technology they choose to support.